LUBE-A-BOOM® is a calcium sulfonate complex thickened lubricating grease formulated in a 100 percent synthetic base fluid specifically for use on cranes, aerial lifts, shooting boom forklifts, hydraulic telescoping excavators and material handling equipment. 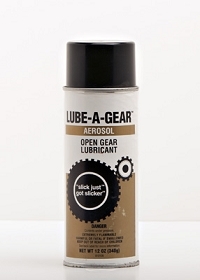 The synthetic fluid combined with an anti-oxidant provides stability for extended lubrication life. 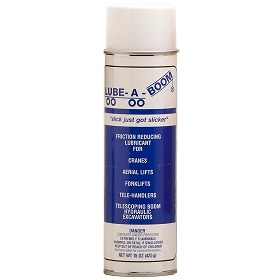 LUBE-A-BOOM® is fortified with molybdenum disulfide (moly) as well as Teflon®* to reduce friction encountered in sliding surfaces. 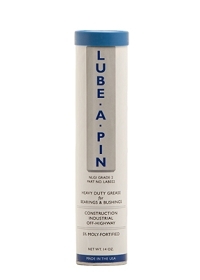 Because LUBE-A-BOOM® meets or exceeds the specifications for EP-MPG and WPG grease, it can be used for other lubrication points on the machine. LUBE-A-BOOM® has been tested for compatibility with wear pads and seals on mobile cranes and meets the specifications for Grove Equipment WPG and EP-MPG. 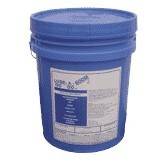 LUBE-A-BOOM® contains no undesirable additives such as antimony, lead, chlorine, or zinc. Typical characteristic and benefits are listed below.